I don't usually blog about custom shoes since there are so many folks customizing shoes now-a-days especially on the LeBron's. 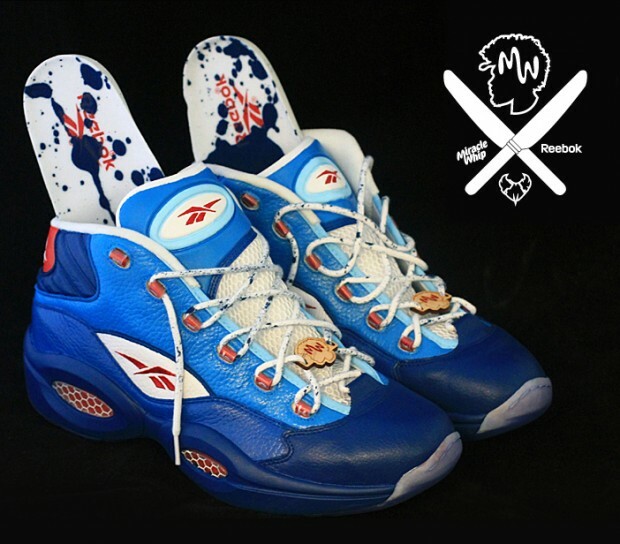 But this UBER-cool custom of a pair of Reebok Question by PMK is something out that is out of this world. Not only that it's dope looking, but it doesn't look like a freaking custom job. I know with technology and lots of creativity many kids these days can do it easily, but these custom looks like something that Reebok made in it's Chinese factory. 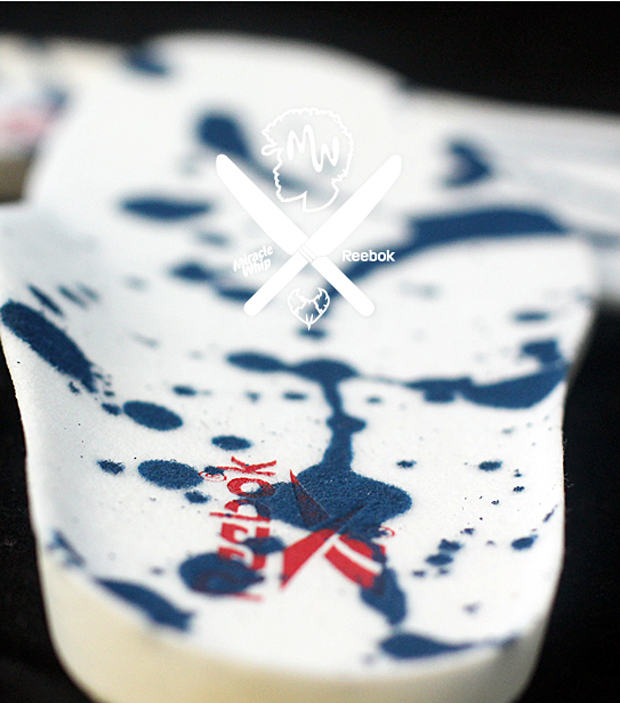 PMK or should we say the “Aristocracy” of custom sneaker culture continue their UN-questionable reign in 2012. Producing this years most profound varieties of custom sneakers and clothing and after this custom, there is no question on the heights that they are capable of reaching. 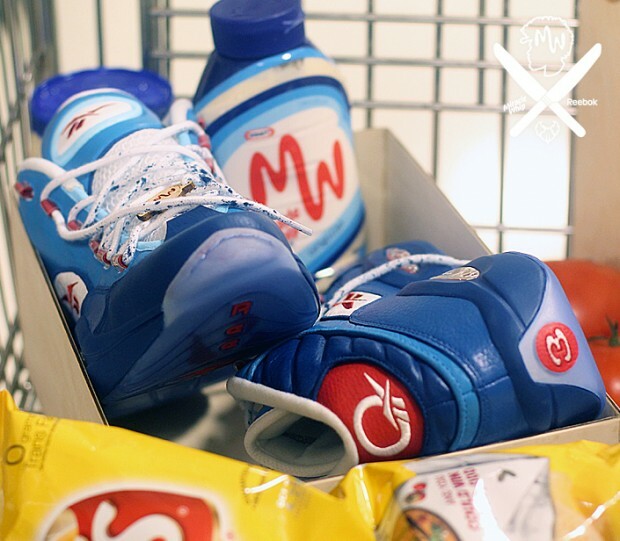 Being summoned earlier this year by Kraft ( Miracle Whip) and Reebok to custom design a sneaker for Roots Drummer and sneaker guru Questlove, PMK knew that this would have to be the most unique Reebok Question to ever hit the scene. 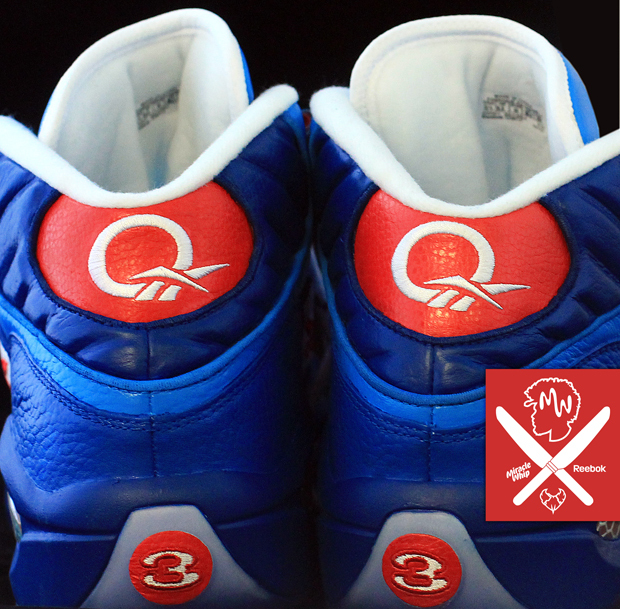 With brother Questlove’s Roots being in Philly, the guys over at Reebok didn’t hesitate on their choice to give him the Reebok Question 2012 edition. It was now the job of PMK to transform this sneaker into a shoe that would be loved by all parties, a task rightfully given to the masters of concept design. After studying the shape of the shoe and hours of research on the brands involved…. the Miracle Question was born. This Iverson question was fashioned after the bottle using four hand-mixed blues and then accented by wooden lace locks and a box that represented a cutting board! This shoe was destined for the deli decor! 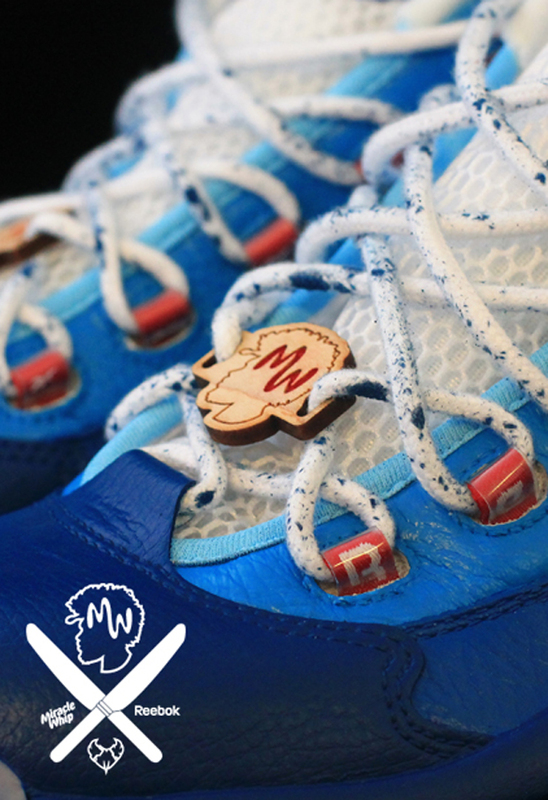 Speckled paint adorned the laces and insole to match Miracle Whip spray paint branding and the signature Questlove silhouette was laser engraved into the lace lock and box featuring the MW logo in his iconic Afro. What started as a Man professing his love for a brand on twitter, turned into a product supported by cross industry giants. This collaboration is a miracle indeed. where can i get those i need em? These are custom made by PMK Custom for Brotha Questlove.